U.S. foreclosure activity dropped in the first quarter of 2016, descending below pre-recession levels in 78 out of the 216 (36 percent) metropolitan statistical areas analyzed, according to RealtyTrac’s Q1 2016 U.S. Foreclosure Market Report. The report shows U.S. foreclosure filings, which include bank repossessions, default notices and scheduled auctions, on 289,116 properties during the first quarter of 2016, a four percent decrease from the previous quarter and its lowest quarterly total since the fourth quarter of 2006. “Despite a seasonal bump higher in March, foreclosure activity in most markets continues to trend lower and back toward more healthy, stable levels,” said Daren Blomquist, senior vice president at RealtyTrac. Major markets with a population of at least 200,000 that posted Q1 foreclosure activity below pre-recession average levels included: Los Angeles (27 percent below pre-recession average), Atlanta (57 percent below pre-recession average), Houston (64 percent below pre-recession average), and Dallas (65 percent below pre-recession average). The report also shows there were 138 of the 216 metro areas (69 percent) with foreclosure activity above pre-recession average levels in the first quarter of 2016. Major markets with a population of at least 200,000 that posted foreclosure activity above pre-recession average levels included: Washington D.C. (134 percent above pre-recession average), Philadelphia (97 percent above pre-recession average), New York (80 percent above pre-recession average), Boston (46 percent above pre-recession average), and Chicago (17 percent above pre-recession average). The top five highest foreclosure rates, according to the report, were Maryland (one in every 194 housing units with a foreclosure filing), New Jersey (one in every 216 housing units), Nevada (one in every 236 housing units), Delaware (one in every 240 housing units) and Florida (one in every 274 housing units). Among the 216 statistical areas with a population of at least 200,000, the five highest foreclosure rates in Q1 2016 included: Atlantic City, New Jersey (one in every 106 housing units with a foreclosure filing), Trenton, New Jersey (one in every 168 housing units), Baltimore, Maryland (one in every 183 housing units), Lakeland-Winter Haven, Florida (one in every 196 housing units) and rockford, Illinois (one in every 211 housing units). According to the report by RealtyTrac, scheduled foreclosure auctions increased 25 percent month-over-month nationwide, increasing 18 percent month-over-month in non-judicial foreclosure states and 17 percent in judicial states. However, those numbers are still down 15 percent from a year ago. 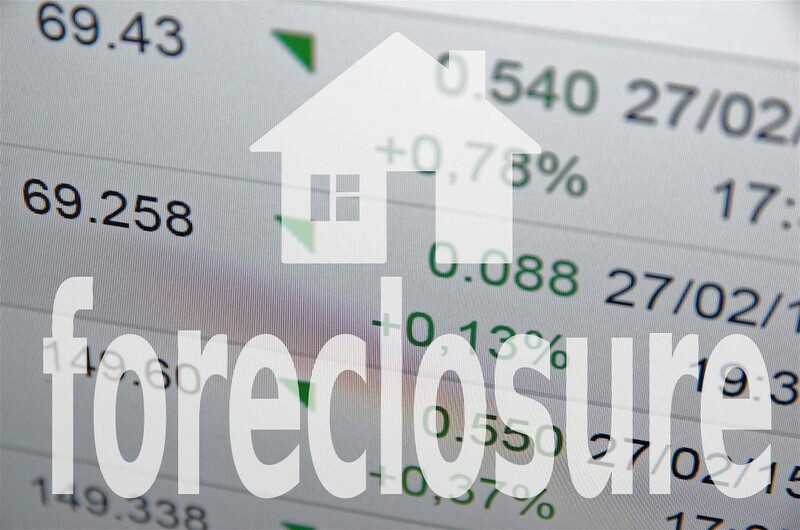 In 23 states, March scheduled foreclosure auction increase from the previous year, including Massachusetts (up 211 percent), New York (up 92 percent), Pennsylvania (up 49 percent), Maryland (up 43 percent) and South Carolina (up 37 percent). The RealtyTrac report collected data from more than 2,500 counties nationwide using a combination of public record and proprietary sources.